VIETNAM WAR: MIA REMAINS — GIFT OR GIMMICK? One of the upsides to writing a blog about MIA recovery efforts in Vietnam is that I receive a lot of emails, encouraging me to stay with our mission to bring home Jerry’s remains — most communication comes from the contact form that’s accessible through the above navigation bar. One of the down sides about a blog like this is that I receive emails, asking me for help in areas that are out of my expertise or beyond my influence. A couple of days ago, I received an email from a Vietnamese who appears to live in the southern portion of the country. He indicated that he was a student and his parents gave him “60 remains of American soldiers,” along with a “card” listing their names and other information. His reason for contacting me was that the remains needed to “come home.” I conducted a little preliminary research but was unable to verify the authenticity of his information. Even with my limited knowledge, I know it takes more than dog tags and basic information to prove that someone is holding 60 sets of remains. Anything is possible, and this individual’s email may be legitimate; however, I know from conversations with others that bogus leads in the past have kept JPAC investigators from responding to locals who truly have remains of an MIA. 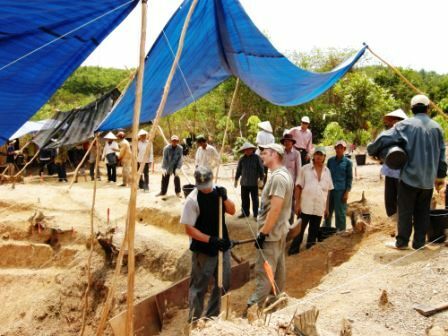 It appears that more Vietnamese citizens are coming forward with remains of unaccounted-for MIAs, and I hope this applies to the current situation. Many Vietnamese understand how to contact the correct local officials to ensure that remains are presented to JPAC, but they can also go to the JPAC website (http://www.jpac.pacom.mil/) and get the information for making email contact. It is my understanding that our government does not pay for remains, but most Vietnamese are still eager to have them returned home, often because of superstitions; it is unlucky to have a wandering soul (MIAs) in a village. This is one of the reasons that Vietnamese want their own loved ones returned home, as well. I encourage the person that contacted me to follow-up with JPAC, who will know how to determine the viability of his information. If proved accurate, I will try to meet that person during my next visit to Vietnam and thank him personally for possibly bringing closure to several families. This entry was posted on Saturday, June 11th, 2011 at 10:14 am	and is filed under FOCUS ON PEOPLE WHO HELP BRING MIAs HOME, MIA Recoveries in Vietnam, Vietnam MIA. You can follow any responses to this entry through the RSS 2.0 feed. You can leave a response, or trackback from your own site.